As you may know, Google is the king of the internet, this means that if you want your site to have a better position in the search engines, you must participate and follow its rules. Google’s main goal is to provide relevant, accurate and important information to its users. The more important, original and useful information you can offer, the more Google will see you better and will improve your position within its ranking. This is SEO (Search Engine Optimization), it’s to help search engines to find, understand and show the information on your website. In this pos, I will talk about the organic search results only, which are the Google ‘s results that you do not have to pay to be shown. The following list has some of the most important pieces you should take care of so Google (or Bing, or the others) can be able o find you and improve your position in its ranking. Your site has to be clear. Google has different robots (intelligent programs) to scrutinize the web, which literally read and interpret each page to know what they are about and what is its content. Therefore, your visitors, including Google, should clearly understand what is your website is about. If you offer accounting services, make sure everybody understand that you are talking about accounting services. If you sell beauty products, make it clear what type of products they are, what brand, the content, and so on. You have to give useful information. If you care about being found on Google, you should know what your audience is looking for in relation to your product or service. People rarely will search for the name of your business looking specifically for you, instead, surely they will be more specific with the service or product they want to find. You have more chances of being found if you have a page dedicated to quinceañeras on your website, with information, not only photographs. Better if you have one or several articles on quinceañera photographs, for example, with recommendations of the best locations, or how to achieve better shots of quinceañeras. Research what your audience is looking for, remember that Google wants to give to its users important and relevant information, if you have that information, you will be in the results. On the other hand, be careful not to turn your website into a medals and achievements display. I mean, it's good to talk about the achievements, facilities and the awards received, but always translate that information into how that benefits to your customers. Start your blog and update your website constantly. Having a blog on your website is a good strategy for your audience to know what you know and what you do. If they see and read interesting content on your pages there will be more and more visitors. A blog is a great opportunity to speak directly to your public, and they can leave comments that you can use to get valuable feedback that will help you to improve and to know the needs of your visitors. Another aspect that Google sees is how often your site is updated and new information is added. This is another great advantage that your blog has. You can add news and information about your activity and you can keep it updated for the people who follow you. Be disciplined in publishing as often as possible. There are those who recommend making a new publication weekly, but there are also those who recommend publishing daily. The truth is that the more frequent you do it, the better. This way you will have more content to offer your visitors, more visitors will come and they will do it more frequently. Copying content never is a good strategy. Besides that it can be content protected by copyright, Google knows when it is a copy of another site and punishes it by lowering your ranking and eliminating those pages from its index. Write original content for your website and for your blog. Talk about what you know and what you want your audience to know. Show how you can help them. You can explain cases and how you solved them, or you can answer some frequently asked questions. In the event that you do not find new topics to talk about, you just have to analyze what you do every day, what happens in your business, you can explain your work system, what are your activities or what things avoid headaches for your clients. You just have to take some time to make a list of subjects and put them on a publication schedule (so you feel committed to doing it). Increase the number of visits to your website. For Google is important the number of visits that your website has. Which is logical, if more people visit your site means that there is more interest in your pages and it’s more valuable to show it. Money, Time and Luck. Let me explain it below. You can pay ads so more people can visit your web. (But as I said at the beginning, I will not talk about this topic, it will be for another article). You need to spend time writing your articles. Time to share on social media as much as possible. Time to start conversations in forums where you can add value and be in contact with other people who can share your articles. All this is adding and little by little will improve your level in the Google index. Also, the age of a website is an element that search engines used to rank the pages. Google may give priority to a site that has more years online than another that has a few months. It may happen when someone famous with a lot of followers visited your page, he liked something and talked about you. Or bought your product and commented on his social networks. Another stroke of luck may be that your product or service became a trending and many people are looking for it. These are aspects that do not depend much on you but the chances are on your side. Give to Google as much information as you can about your business. Google has many tools that help to improve your visibility and presence in the search engines. One of them is adding your information to your Google Plus profile and share your news. I know this social network is not very popular, but it’s from Google and you are adding a link more. If you have a brick-and-mortar store or office it is essential to fill out your business information in Google My Business. Add your hours of operation, photos, verify the address, descriptions, products, etc. Another way you can be found is with Google Maps. It works together with Google My Business. In the same way, verify if your position on the map is correct. If you have more than one location, make sure every location has it’s information complete. Is it possible for you to create videos? Do not miss the opportunity to be on YouTube. People will be able to find you there too. As in your blog, you can share useful information, answer questions, show your facilities, or even make entertainment videos if your business allows it. Optimize the technical SEO of your site. SEO also depends big time on the technical configuration of your website. Some sets are easy to solve, others a little less. I will tell you some of them, so you can assess them and take action. • The title of each page. Each page must have a descriptive title and should be according to the information it contains. Google does not like titles without relation to the text of the page, neither too short as a word or too long. • The structure of the URLs. Both directions can take you to the same information but the first one gives you a description of what you are going to find on that page and Google likes that. On the second one, nobody knows what is behind that address and can even be considered suspicious. • Robots.txt and the Index. The robots of the different search engines look for the robots.txt file as part of your website. This file has information that can allow or deny to these robots to analyze and index your website pages. It’s important to have the correct configuration. A bad adjustment could avoid Google to index your page. On the other hand, your site Index helps the search engines to know what information is available and understand what they should explore and analyze. Meta tags are hidden information for the users but browsers and search engines use them to interpret the information on a page. There are several types of meta tags, but for SEO purposes must not miss: Meta tag "description". This information gives the search robots a short summary of what the page is about. Also known as "Mobile-friendly", it’s very important to have your site adapted to mobile devices, whether phones or tablets. Especially now that around 60% of web browsing if from any of these portable devices. You must make sure that your website adapts to this kind of screens. If you are doing a search, Google simply no longer shows results that are not adapted for mobile. You can visit this tool that analyzes your website and provides some suggestions to optimize your pages to get a better experience for your users. If you want to know more about this topic, you can read this article about how navigation has been transformed from desktop computers to mobile devices. Google prefers sites that have SSL certificates. An SSL certificate makes the information sent to the visitorsof your page, as well as the information you receive from it (for example when filling out forms) encrypted, which makes it much more difficult for it to be intercepted and stolen. The lock icon and "https" are indications that this is a secure site with SSL certificate. It is always a good practice to have your SSL certificate, nowadays most hosting provide a free certificate. All you have to do is check in your administration panel or communicate with them to activate it. It is so important that if a page does not have this certificate, your browser warns you that it might be a dangerous site. Imagine how harmful it can be to your business website. Surely throughout your whole website, you have several links to other pages, internal or external. Watch if these links are continuing working and they are not taking you to nonexistent pages. Broken links are an indicator of a site not updated, not only your users will see it bad. 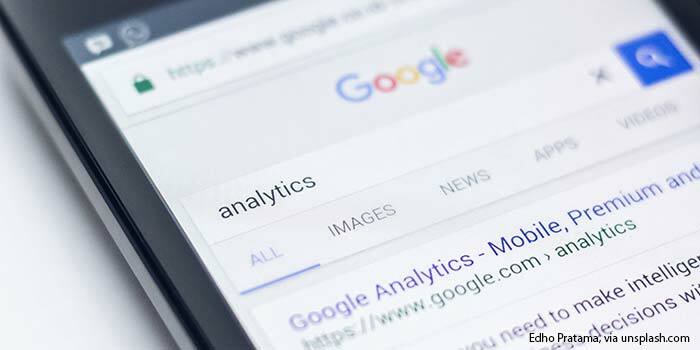 Google will not be able to include those pages in your indexes and will damage your optimization. • The speed of your website. It is sure that you want your visitors to have a great experience and search engines to show your site more in their results. But if your page is slow and is not optimized to load quickly, it will be more difficult to achieve it. Google has a tool to evaluate the speed of your page. After doing the test, it will give you a score, the closer you are to 100, will mean that it is better optimized. Surely you will get some indications to improve some aspects of your site (once again you can communicate with your hosting provider, they will be willing to help you achieve a better speed for your website). • Use Google Analytics and Search Console. These tools need you to sign up and add some code to your website. They are a bit more complex and require more dedication at the beginning (it's not something like quantum physics, but you do have to spend a few hours learning to use them), and they can help you in the following way. Google Analytics helps you measure in different ways how your site optimization is. It can display valuable information such as the number of visits, origins of those visits and hours. It can tell you the what pages they visited, how long they stayed and if they returned, and much more useful information for you and your business. To learn more about Google Analytics you can start at the Google Academy. On the other hand, there is Search Console. This tool monitor and help to improve the presence of your site in search results. Once you have registered your web and the Google robots have visited your site (which may take a few weeks) it will show you how Google sees and interprets your site. It can give you instructions that will allow you to optimize your site. Also may tell you if there are any errors on your website so you can correct it. If you are interested, you can watch the following video that will guide you to start with Search Console. I also leave this article for beginners. One more tip. In Google search, type "site:" followed by your domain. You will see everything Google sees on your site. Google likes when you help it do its job of delivering valuable information to its users. As you can see there is a lot you can do to improve your positioning. Tell me if this article has been interesting and useful for you. If you have any questions, just leave your comments below. You can also visit my contact page. I will be happy to hear from you. Your logo and your website are the face of your business. Thinking about design is not thinking only on lines, shapes or colors; is to think about showing that you are professional, reliable and likable. When the time comes when you need a designer, send me a message. I will be glad to assist.